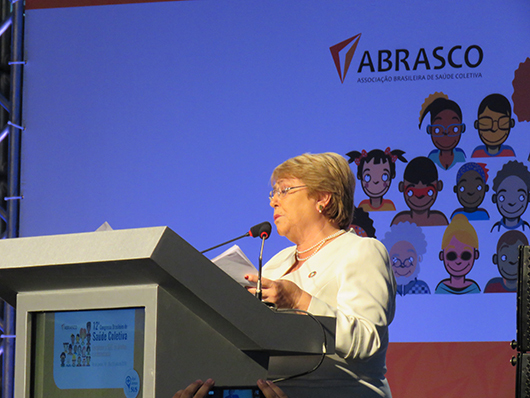 Former president of Chile gave a lecture on the opening ceremony of the 12th Brazilian Congress on Collective Health with the theme "Rights and democracy: universal and public health systems". It was the first time Abrascão, the largest Health event in Latin America, was held at Fiocruz. The 1st Academic Meeting of Brazil-China Center for Research and Prevention of Infectious Diseases (IDRPC) marked another step in the scientific partnership between the two countries, which began last year. The agreement was signed on June in Paris and it updates the centennial partnership of scientific cooperation between the two traditional institutions. The king and his entourage visited the Foundation on June to attend the Brazil-Nigeria Colloquium. Traditional Yoruba medicine and the use of herbs in healing were among the topics discussed. A US$ 600,000 investment was announced at Fiocruz. With the resources, an innovative diagnosis will be tested in the Amazonian population, improving the current of P. vivax malaria. Based on infrared chemical analysis, the technique is simple, cheap, has a high accuracy rate and dispenses the use of reagent. The study questions the division of countries between industrialized, developing and underdeveloped. The new concept would be an alternative to define a group of nations with scientific impact programs. 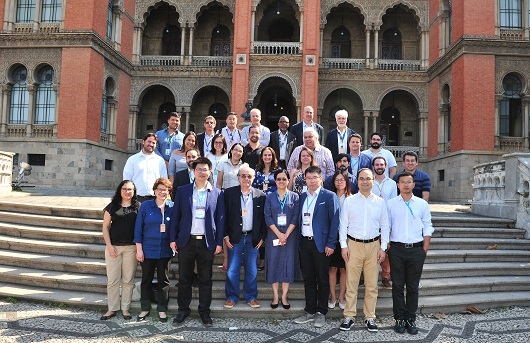 Cris / Fiocruz has become a Collaborating Center on Global Health and South-South Cooperation in 2014 and the redesignation will be valid for the next four years. Beatriz Grinsztejn is the second female Brazilian to take office as a Governing Council Member for Latin America and the Caribbean at IAS. The Foundation is the first Latin American institution to join the consortium, which brings together more than 30 public and private health financing and research agencies from European countries and partners.